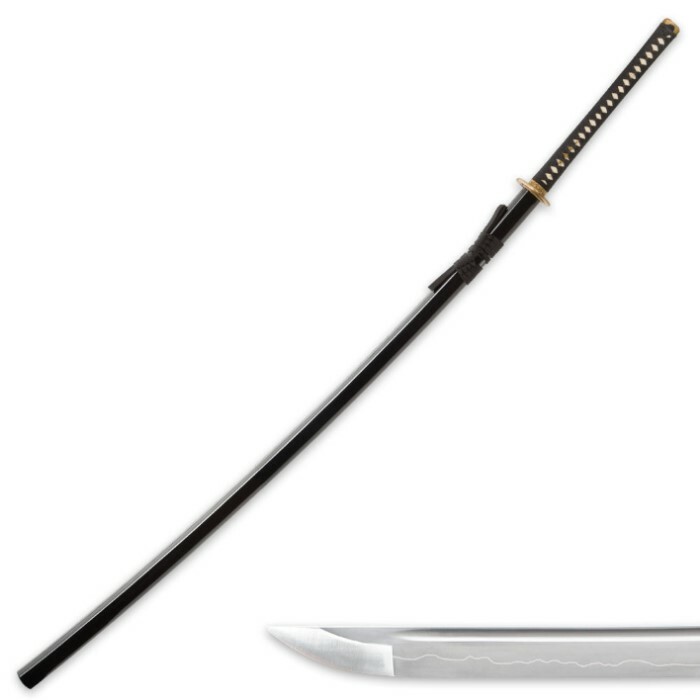 Massive and sharp, this odachi sword comes battle ready and is even balanced for one handed use. Very sturdy, the HRC 57 blade extends to the end of the handle. This model can be taken apart for care or adjustment of furniture. The copper tsuba comes with a custom oxidized finish, no two are exactly alike. The 47 in. edge sounds amazing as it slices through the air! 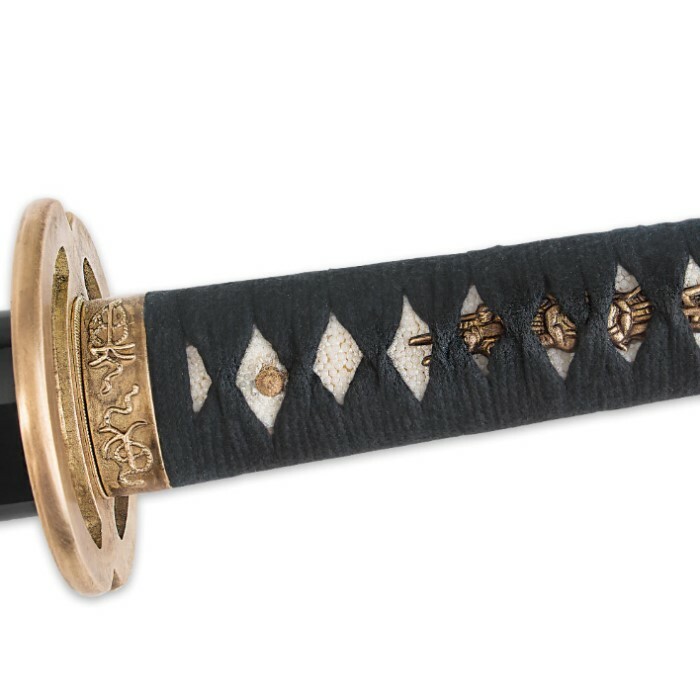 Extremely sharp hand honed high carbon steel blade. 1045 High Carbon Steel with water temper process. Real Gold and Silver carefully painted onto the fittings. Copper tsuba, fuchi, and kashira. Aged antiqued finish oxidized finish. The factory no longer ships this item with a certificate. 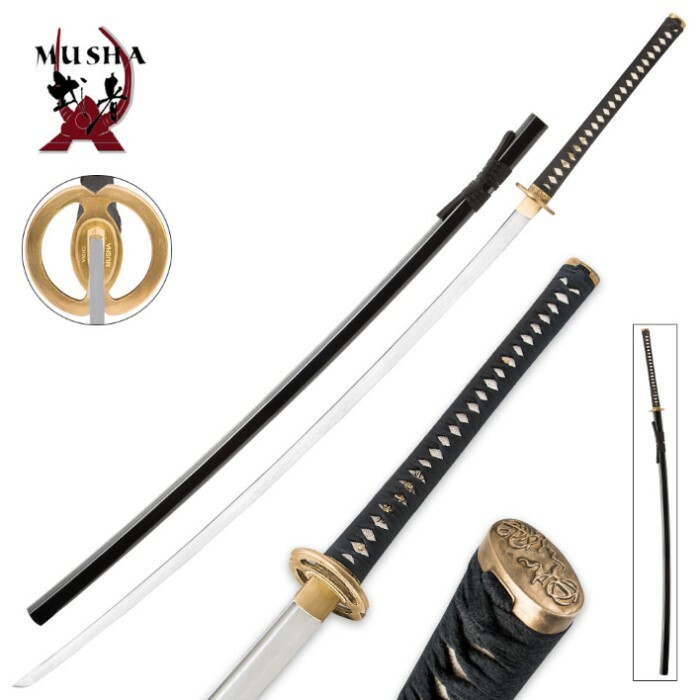 Includes hardwood case with velvet lining and black satin sword bag. 47 in. edge, 16 1/4 in. handle., 64 1/2 in. overall. 3.85 lbs. without saya, 12 lbs packaged. Measurements will vary slightly between models.